Want to see some of the best-known natural phenomena in Iceland on a day trip from Reykjavik? 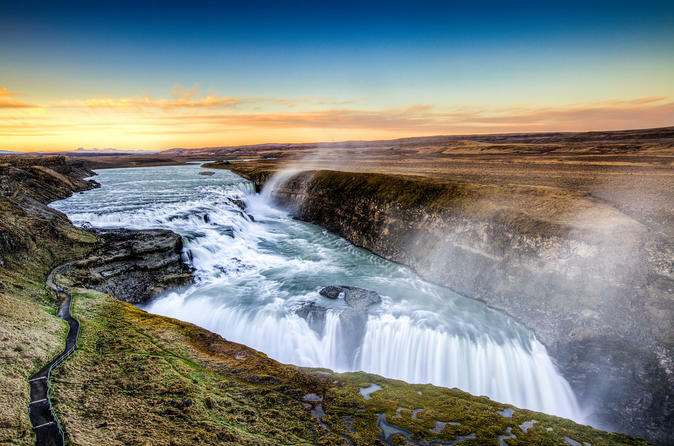 From spouting geysers, tumbling waterfalls and ancient volcanoes, the popular Golden Circle Classic full-day excursion by coach will introduce you to Iceland's world-renowned pristine natural beauty surrounding the capital. 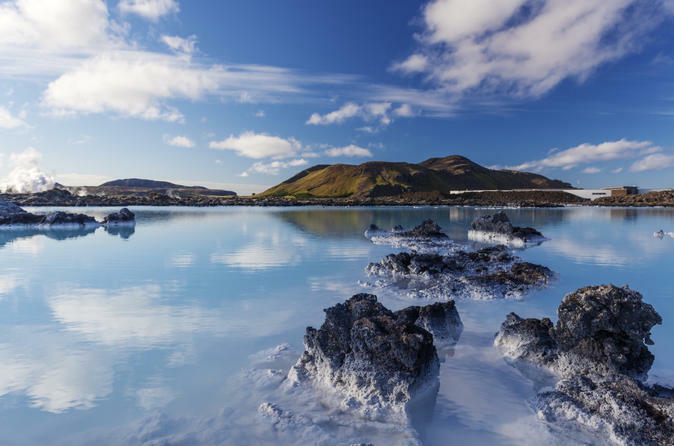 Find the ultimate relaxation when in Reykjavik on this excursion to the Blue Lagoon. 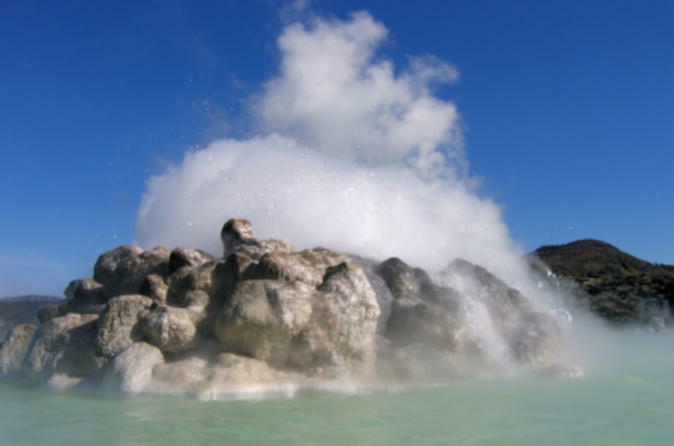 Surrounded by lava fields and snow-capped mountains, the Blue Lagoon is a geothermal spa outside the city where you can bathe in the warm waters, have a water massage or enjoy a spa treatment. With your transportation all arranged, just lie back and relax, before catching your transport back to your hotel in Reykjavik. Adventure through the dramatic landscape of Iceland during this full-day tour of the southern coastline. Explore lava fields, icebergs, and glaciers with help from a friendly, knowledgable guide. 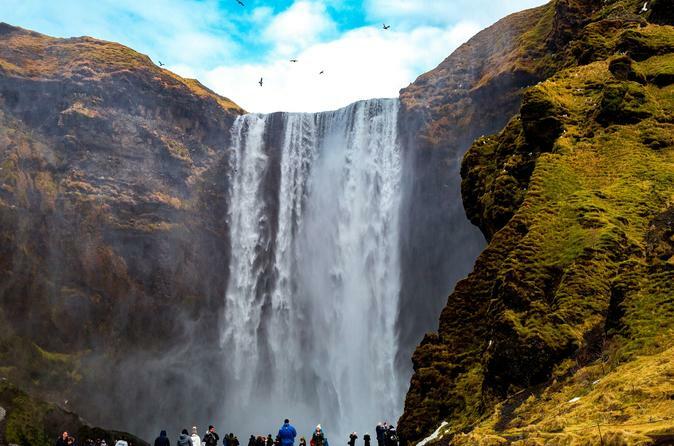 Visit the Seljalandsfoss and Skógafoss waterfalls and stop by the small village of Vik. 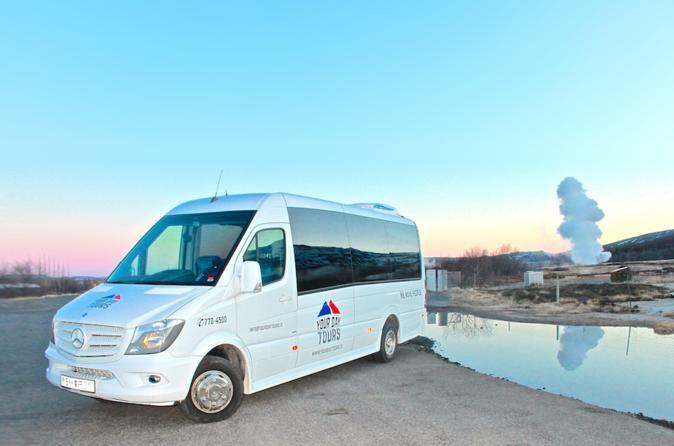 Roundtrip transportation to and from selected locations in central Reykjavik is provided. Combine two tours in one Super Saver for the perfect Icelandic experience. Start your morning relaxing at the Blue Lagoon surrounded by lava fields and snow capped mountains. 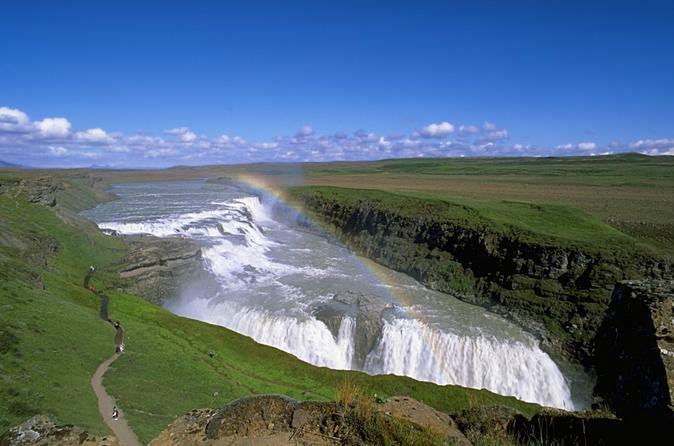 Enjoy the afternoon touring Gulfoss, Geysir and other Icelandic natural phenomena. Perfect if you don't have much time at your disposal and want to make the most of your visit to Reykjavik and save over 1.5% when you book these tours together. 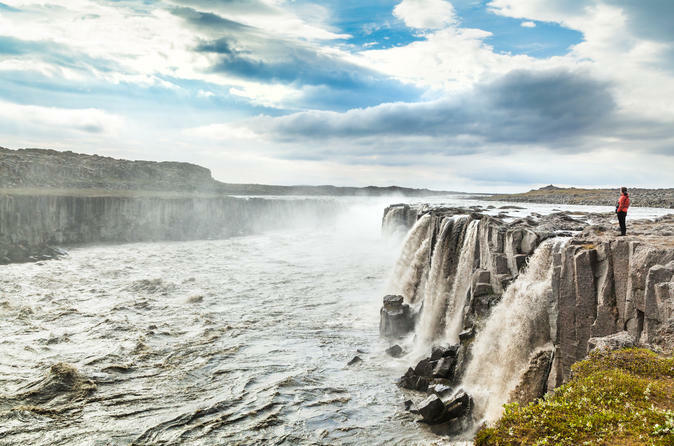 This grand Golden Circle tour takes you to the most popular sights where you can experience the three highlights of the South West of Iceland: Geysir, Gulfoss Waterfall and Þingvellir National Park. Plus you will visit the volcanic crater lake Kerið. 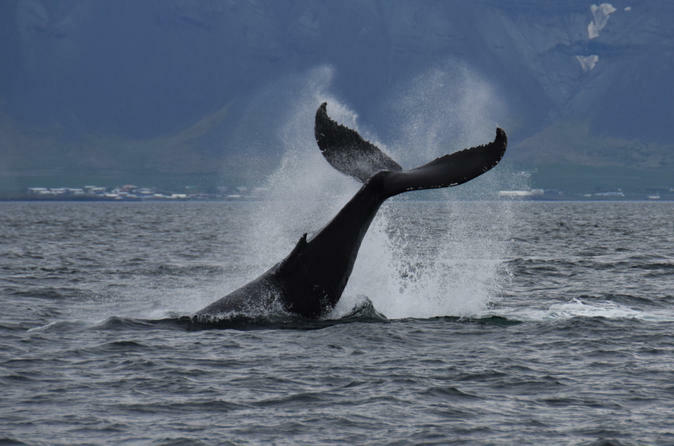 Set off in search of minke whales, humpbacks and more on this whale-watching cruise from Reykjavik. Pull on a pair of provided coveralls and then stay on the lookout for harbor porpoises, white-beaked dolphins and whales as you cut through the still waters of Faxaflói Bay. 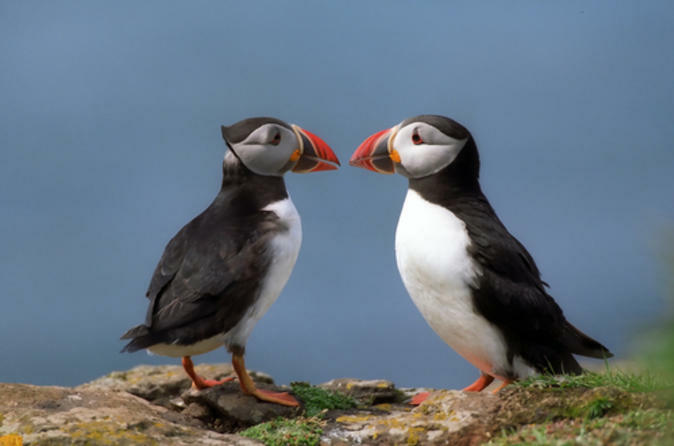 Throughout your cruise, listen to the knowledgeable guide’s insightful commentary, and have your camera ready to capture Reykjavik’s native marine life in the wild. Choose from a 3.5-hour cruise or an express 2.5-hour high-speed boat version — perfect if you’re short on time. 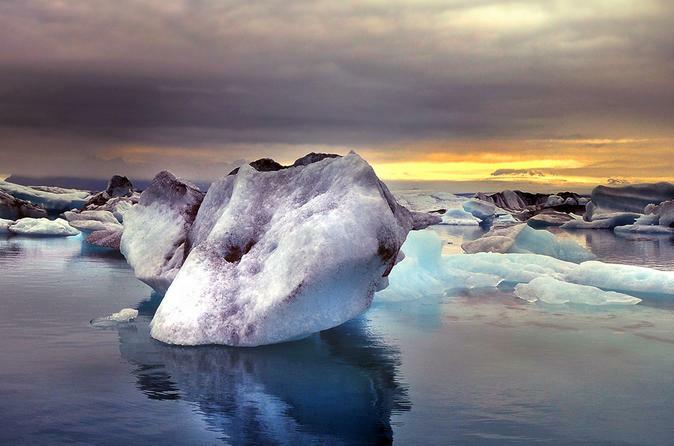 Head out to the magnificent glacial lagoon Jokulsarlon, and follow in the footsteps of James Bond in "Die Another Day" and Lara Croft in "Tomb Raider". This exhilarating full-day excursion from Reykjavik takes you along Iceland's southern coastline, known for its exquisite mountain scenery. Take an afternoon tour from Reykjavik to experience geysers, waterfalls and some of the most exciting natural phenomena Iceland has to offer. In just six hours you'll visit the country's best known historical sites and natural wonders perfect if your time in Iceland is limited. Spend a day exploring some of the incredible locations used in the hit TV series 'Game of Thrones' on this 8-hour tour from Reykjavik. With a professional guide leading the way, follow in the footsteps of the White Walkers at the UNESCO-listed Thingvellir National Park, visit the breathtaking natural vistas of Lake Thingvallavatn. Then, reimagine one of the most brutal sieges in the show's history at Thjorsárdalur valley. Round-trip transport on a comfortable, fully heated coach is included. 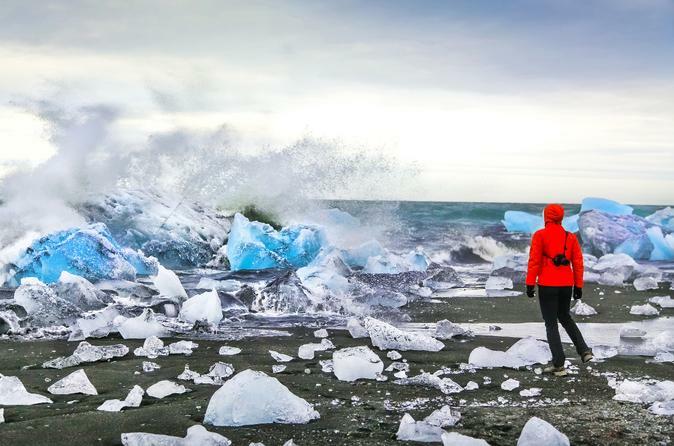 Discover the dramatic black-sand beach of Reynisfjara, thundering waterfalls of Seljalandsfoss and Skogafoss waterfalls and join your certified glacier guide for a short glacier walk on the mighty Solheimajokull Glacier on this full day tour available directly from Reykjavik. 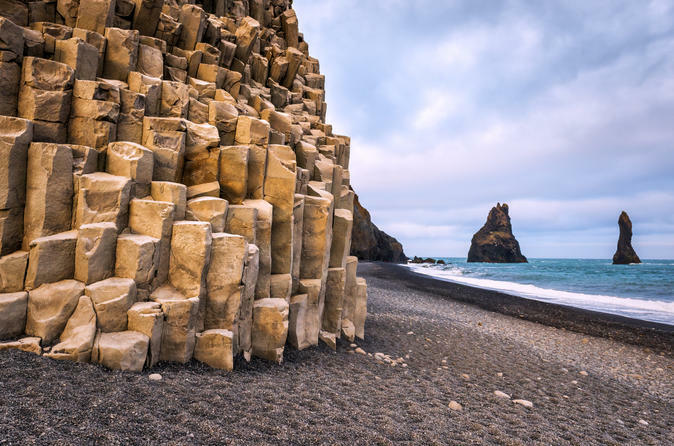 After a morning Reykjavik pick up, join a scenic ride along the stunning south coast of Iceland, take a walk around Seljalandsfoss Waterfall and follow an expert guide along Reynisfjara beach. 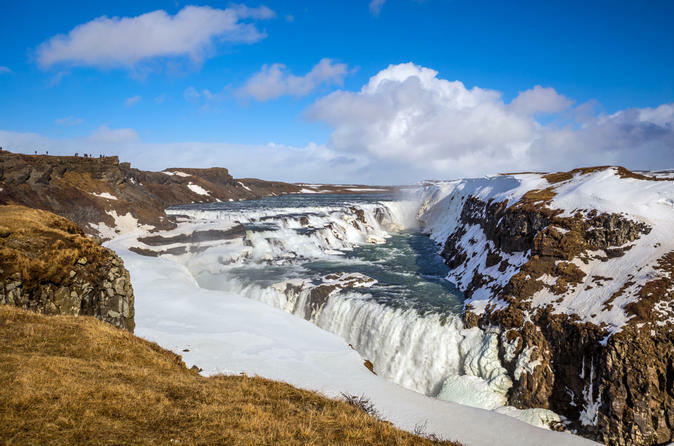 Continue to Solheimajokull glacier for a short walk on the glacier and admire the magnificent Skogafoss waterfall before you start making your way back to Reykjavik, passing through the foothills of Eyjafjallajökull and Helka volcanoes. 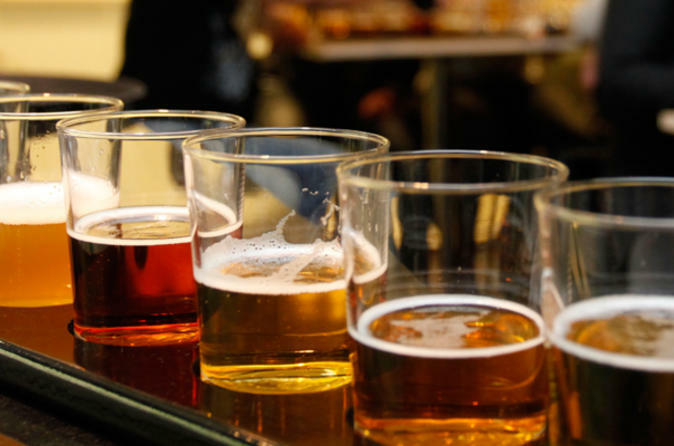 Taste the spirit of Iceland on a guided tour of the Olgerdin Brewery in Reykjavik. Your one-hour brewery tour introduces you to the history of alcohol in Iceland and the unique drinking culture that's fostered there. 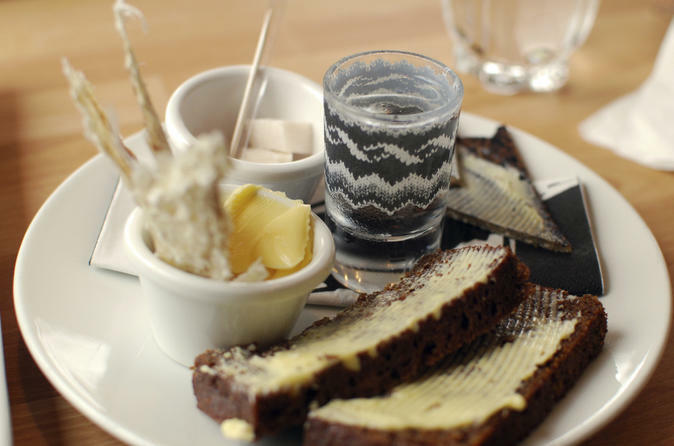 With plenty of Icelandic beers and a shot of Brennivin schnapps to sample, your Reykjavik brewery tour is guaranteed to put a smile on your face! Combine two tours in one for the perfect Icelandic experience: See the highlights of Reykjavik in the morning, then spend the afternoon relaxing at the Blue Lagoon (Visitor pass and entrance fees included). 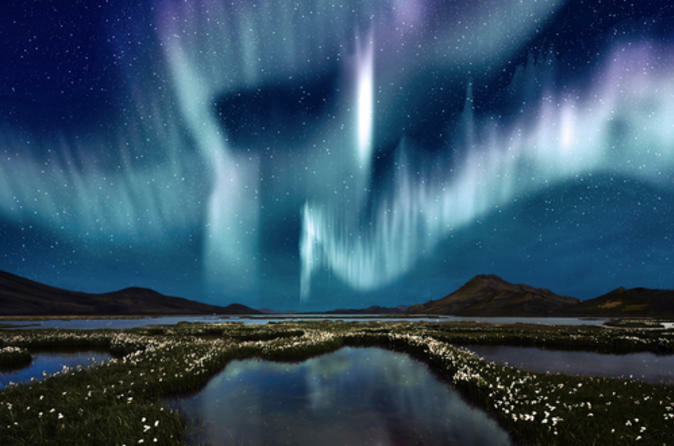 See the northern lights, also known as aurora borealis, from a comfortable boat on this unique cruise from Reykjavik. 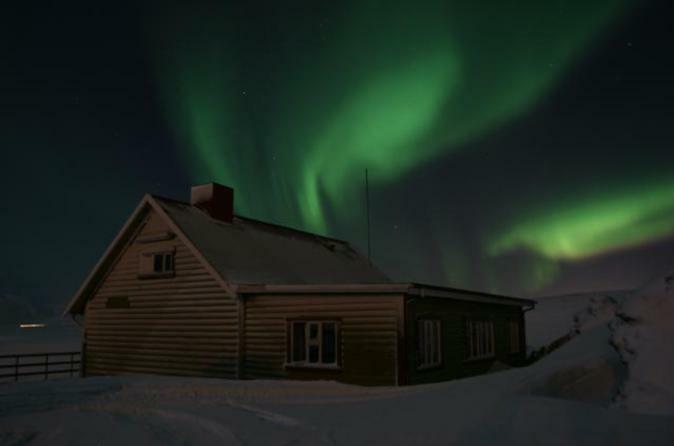 Leave Iceland’s coast to experience this natural phenomenon far away from the city lights. Enjoy a once-in-a-lifetime experience as you learn about the myths and scientific phenomena of the lights from your expert local guide. 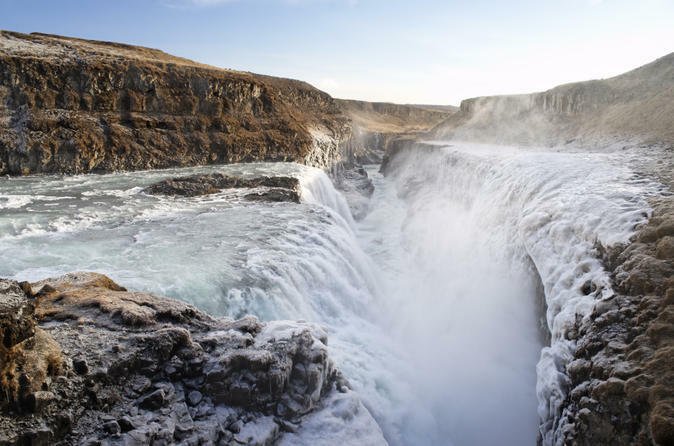 Visit the popular sights of the Golden Circle on this 8-hour tour from Reykjavik. 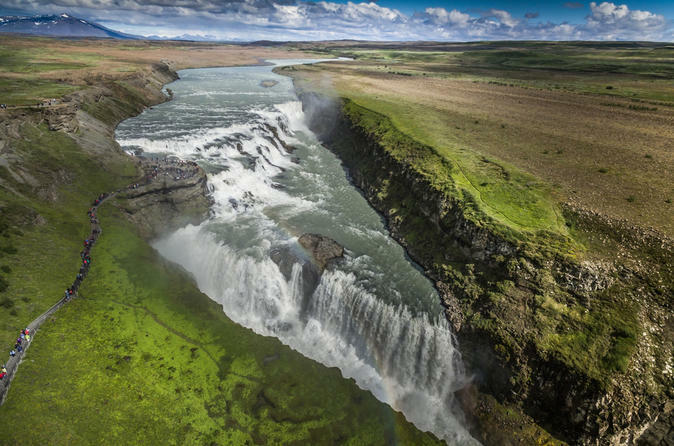 Ride through the Icelandic countryside in a minibus to Thingvellir National Park, Gulfoss Waterfall, Geysir, and Faxi Waterfall. Complimentary snacks, beverages and on-board WiFi are included. If you’ve only got a short time in Reykjavik and you want to see all the major sights, take this 2.5-hour sightseeing tour of the city. 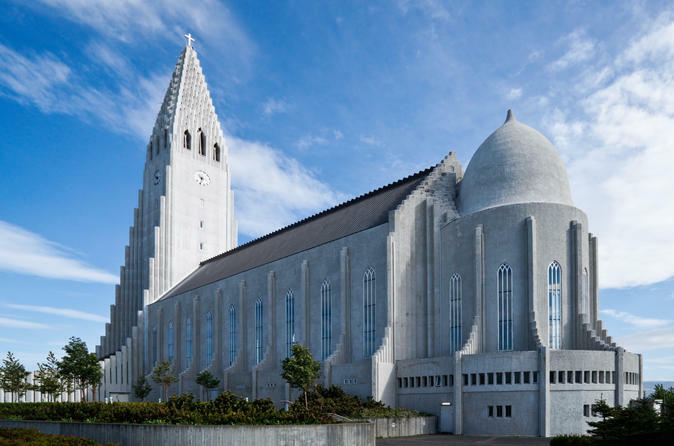 You’ll see top attractions like the Hallgrimskirkja church, the presidential residence at Bessastadir, the fish market in Hafnarfjordur, the open-air Arbaer Museum and the recreational center of Laugardalur. 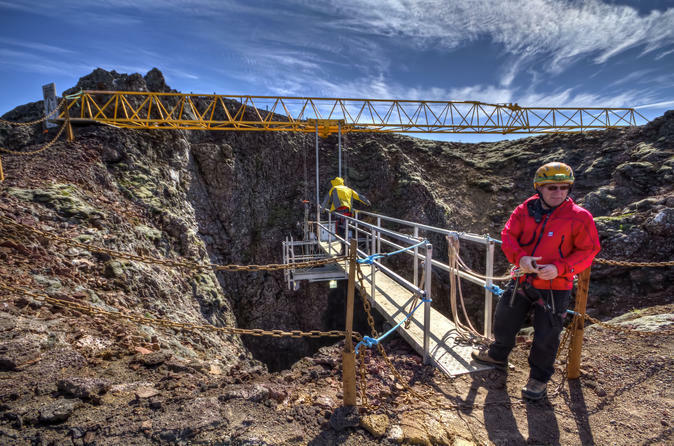 Embark on an adventurous journey from Reykjavik to Iceland’s Sólheimajökull Glacier. 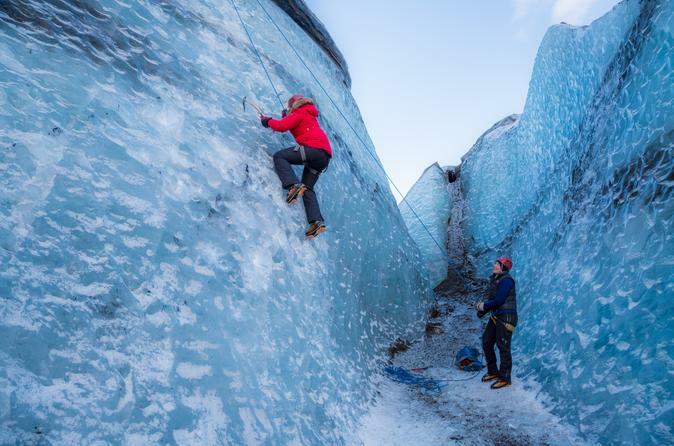 Your expert guide will take you glacier hiking and ice climbing on this magnificent natural phenomenon -- a rugged, raw and ever-changing hub of ancient frozen water. Take in the spectacular views while exploring one of Iceland's most beautiful and striking natural wonders. No experience is necessary! 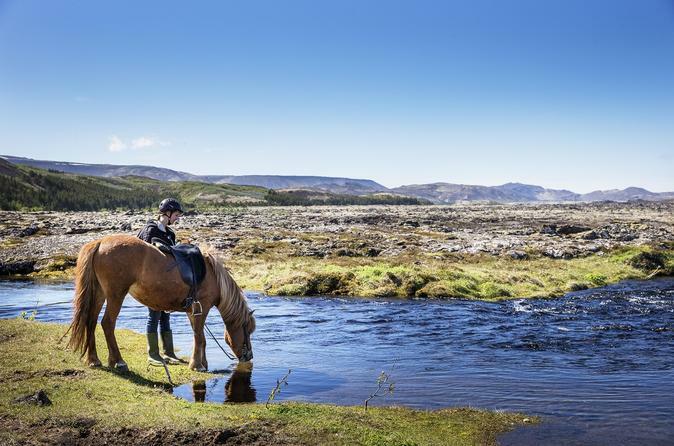 For an Icelandic experience with a difference, ride a Viking horse in the morning or early afternoon and then spend the rest of the day relaxing at the Blue Lagoon on this exciting day trip from Reykjavik. 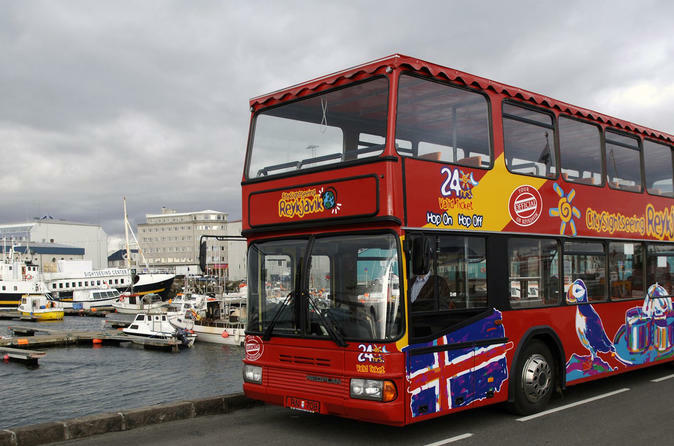 See the top attractions in Reykjavik on this City Sightseeing hop-on hop-off tour! You'll see all the beautiful sights of the city in a comfortable and secure environment, with full commentary provided. Some of the sights you will see include Reykjavik harbor, Reykjavik pond, town hall, the National Gallery of Iceland and the Laugardalur thermal pools and spa. Tickets are valid for 24 hours. Explore the unique volcanic and arctic nature of Iceland. 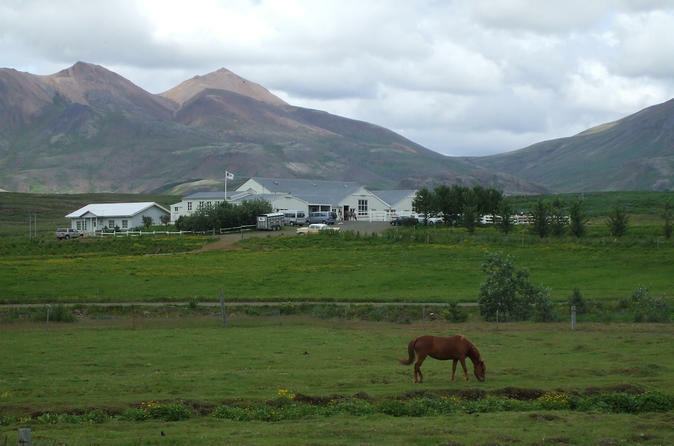 This Golden Circle Afternoon tour is a shorter version of the Grand Golden Circle tour and a great way to get out of the city for an afternoon. 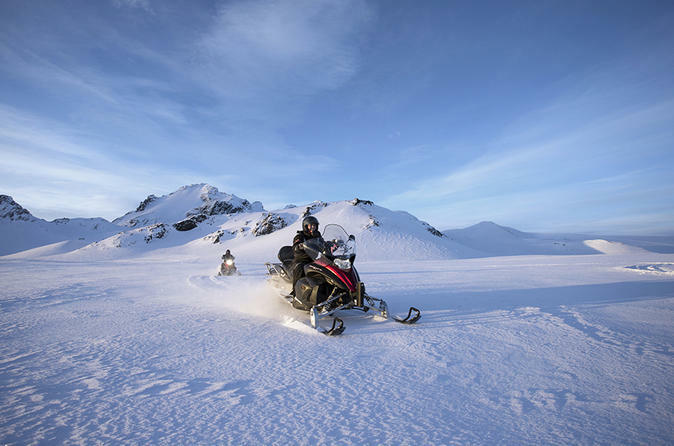 This tour combines the very popular Golden Circle tour with the adventure of a lifetime - a one-hour snowmobile ride on Langjökull glacier, Iceland's second largest ice cap. 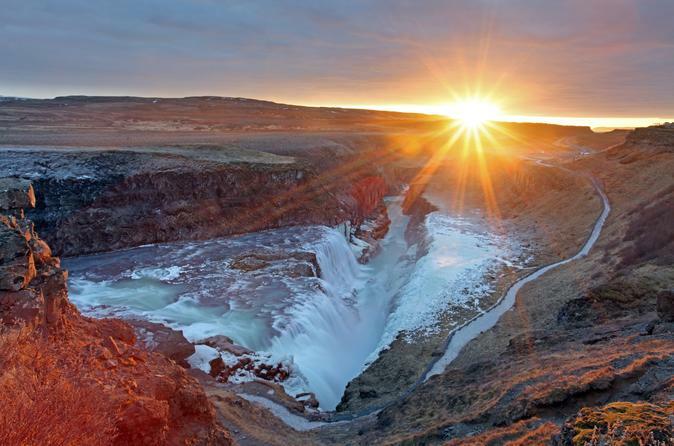 The Golden Circle is a collection of Iceland's most famous natural wonders and a must-see for any visitor to Iceland. You will see the famous erupting geyser and hot springs, experience the spectacular Gullfoss Waterfall and walk in the footsteps of Vikings through the lava canyon where the American and Eurasian continents have dramatically pulled apart in Þingvellir (Thingvellir) National Park. In addition to a live guide, the tour also comes equipped with a personal computer tablet in each seat complete with an audio guide in 10 languages. Explore beaches, glaciers, and volcanoes along the south coast of Iceland on this 11-hour day trip from Reykjavik. Travel along the southern shores of Iceland with a guide and gain insight into the natural features for which the country is famous. 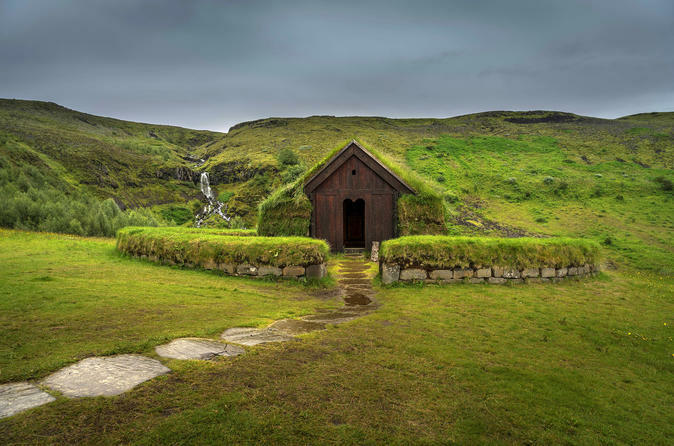 Along the way, take in sites of interest including the Hekla and Eyjafjalljökull volcanoes, the islands of Vestmannaeyjar, Reynisfjara beach, and the Sólheimajökull glacier. 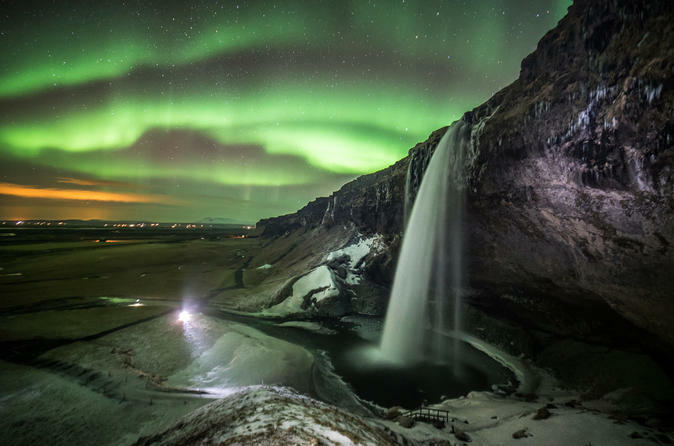 Watch the surging currents at the Seljalandsfoss and Skógafoss waterfalls, and marvel at the beauty of the Icelandic countryside. 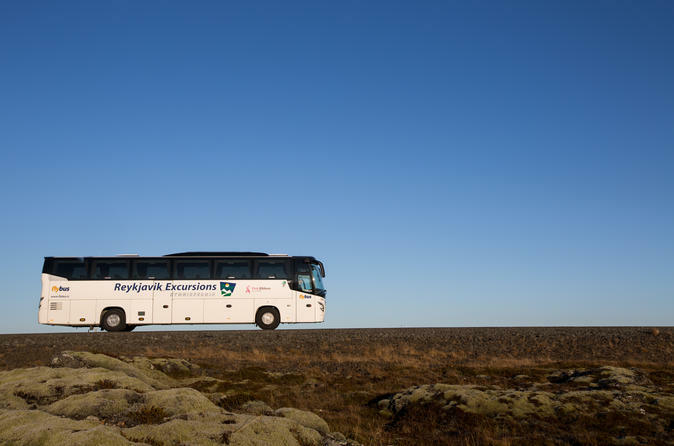 Tour includes round-trip travel from Reykjavik. 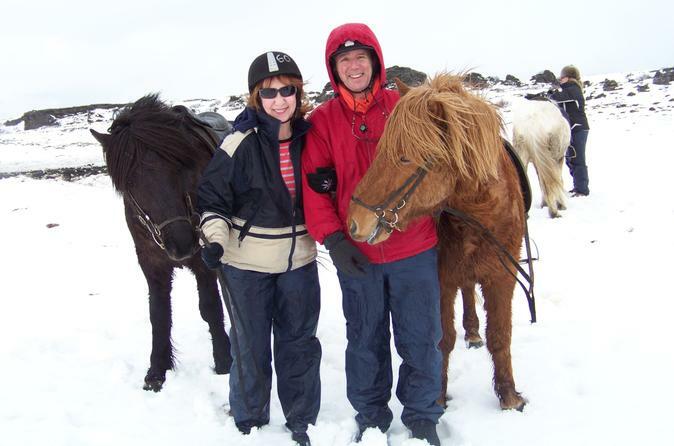 For all those interested in trying the Icelandic horse, a trek on the hardy, sure-footed Icelandic horse is an experience to remember. Whether you are a beginner or expert, old or young, these friendly horses with their alert and willing nature are indeed a pleasure to ride in their natural surroundings. Explore the best of Iceland — ‘land of fire and ice’ — on this 5-hour Golden Circle tour from Reykjavik. 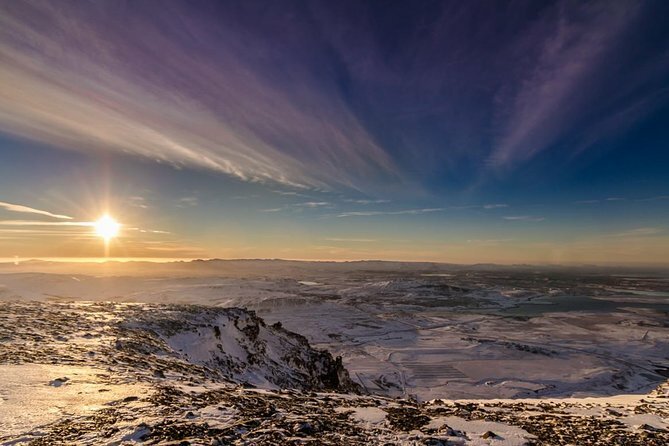 Travel out of the capital to Thingvellir National Park with your guide and gain insight into the area’s unique geology. 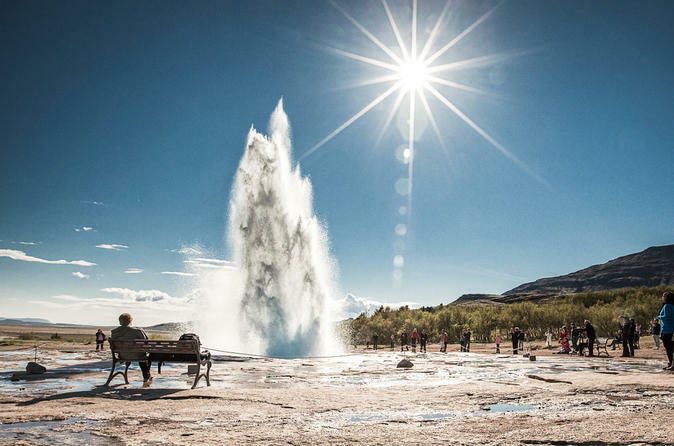 Learn of Althingi, one of the oldest parliamentary institutions in the world; admire the raw power of the mighty Gullfoss waterfall; and watch boiling water erupt from the Strokkur geyser in the Haukadalur geothermal area. 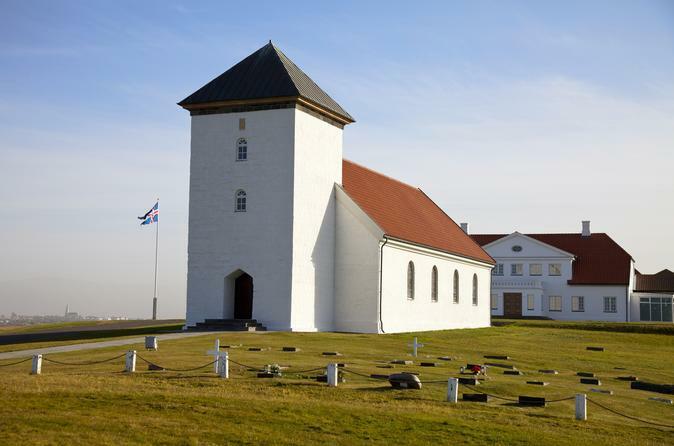 Visit the ancient seat of the Icelandic bishops and discover centuries of Icelandic heritage. Hungry for adventure? Journey into the depths of a dormant volcano on this exhilarating 5-hour expedition from Reykjavik. After a hike through the lava fields of the Blue Mountains, arrive at the rim of the Thrihnukagigur volcano. Don a helmet and harness, and descend by open elevator into the vast subterranean chamber. Ogle the rock walls and dome, and learn how Thrihnukagigur last erupted 4,000 years ago, filling the crater with burning lava, before ascending back up. Numbers are limited to 15 people on this small-group tour for a personalized experience. For those who want adventure - this is the tour for you! Tour over the plateau Hellisheioi and on to visit the beautiful waterfall Seljalandsfoss where you can walk behind the falls. The highlight of the tour is a visit to Thorsmork, or 'Thor's Woods', a beauty spot surrounded by glaciers, mountains and glacial rivers - an unforgettable experience for nature lovers. Find the ultimate relaxation when you’re in port in Reykjavik on this shore excursion to the Blue Lagoon. 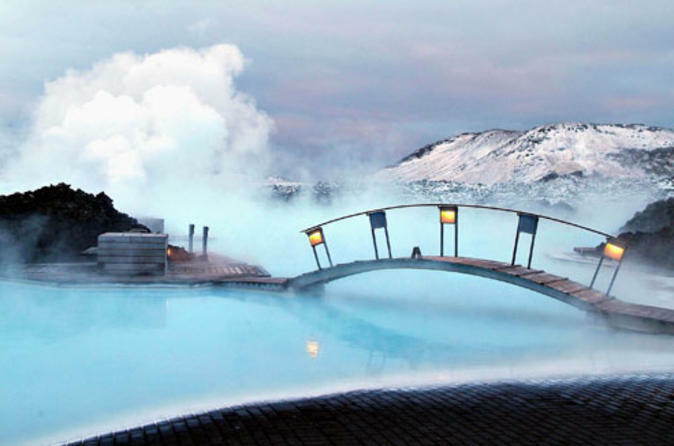 Surrounded by lava fields and snow-capped mountains, the Blue Lagoon is a geothermal spa outside the city where you can bathe in the warm waters, have a water massage or enjoy a spa treatment. Round-trip transportation from the cruise port is included. 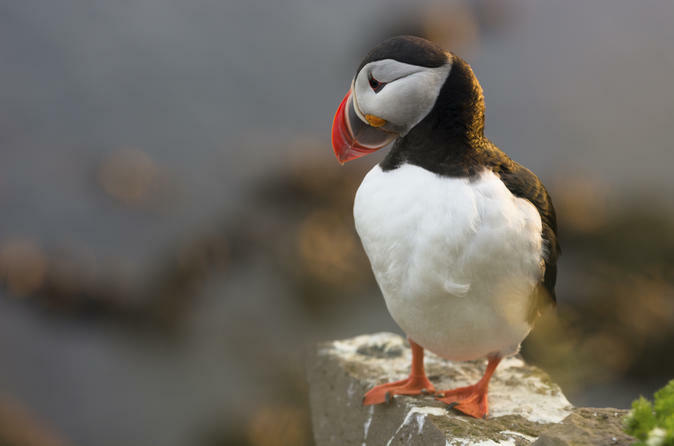 Get up close to Iceland’s majestic wildlife on this Reykjavik Super Saver that combines a 1-hour puffin cruise and a 2.5- or 3.5-hour whale-watching tour for a discounted price. Choose which days and in what order you wish to take the tours, then wrap up warmly and head for the harbor. Glide around the rocky shores of Akurey island and watch enchanted as puffins nest and dive into the sea for food. 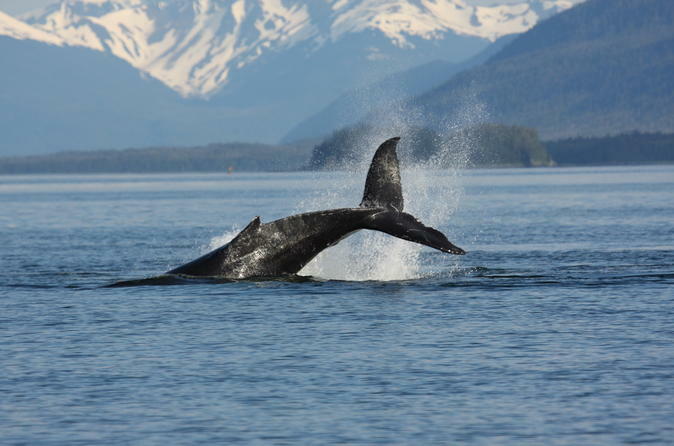 Then, on the whale-watching tour, set off through Faxaflói Bay in search of minke whales, humpbacks and more. 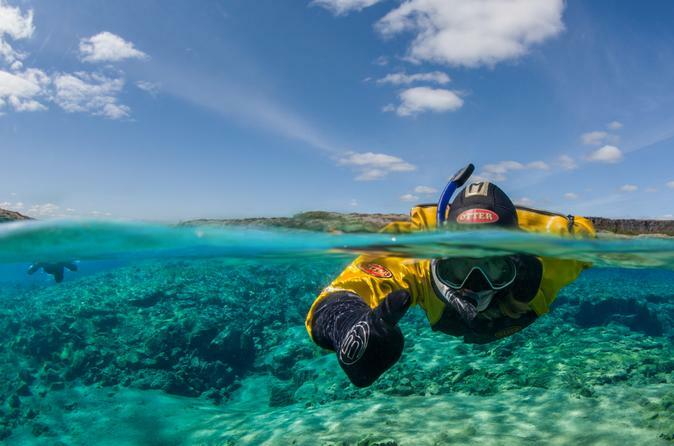 Snorkel between two continents during this incredible experience in Thingvellir National Park. After pickup from your Reykjavik hotel, travel to the UNESCO-listed national park. Then, wrestle into your provided dry suit and head out to Lake Thingvallavatn. 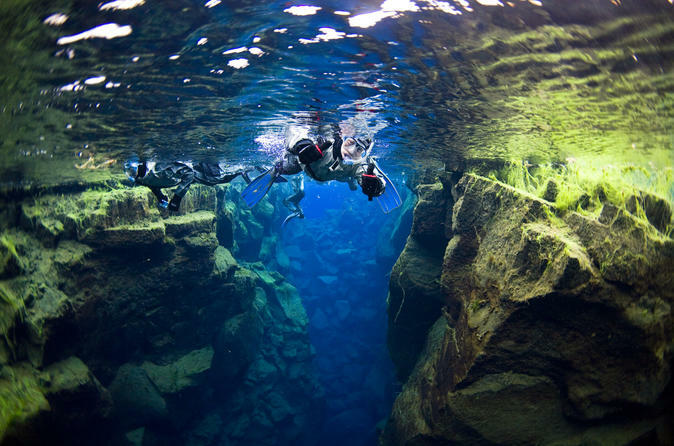 Dive into the crystalline waters of the Silfra fissure, a rift in the earth’s crust between the American and European tectonic plates. You’ll spend an unforgettable 40 minutes snorkeling and taking in the sights below surface level. Numbers limited to eight people per guide to ensure a small-group experience. For a unique day of Icelandic activities take the combined Whale Watching and Blue Lagoon tours, and make the most of your time in Iceland. Observe the whales in their natural habitat and enjoy the refreshing waters of the Blue Lagoon on a day that will live long in the memory!